The Royal College of Midwives has called for pregnant women with diabetes to be given more time with their midwife to discuss the importance of planning during pregnancy, after a national audit found just 5% of women with type 1 diabetes met the national target for blood glucose levels in the first trimester. In compiling the National Pregnancy in Diabetes (NPID) Audit Report 2013, the Health and Social Care information Centre and charity Diabetes UK looked at 1,700 cases of women with diabetes who become pregnant, across England and Wales. They found that improvements are needed in pregnancy preparation, care and outcomes for women with diabetes. Researchers found poor glucose management and little preconception use of folic acid, as well as a high rate of macrosomia; but the proportion of babies being taken into special care has fallen dramatically over the past decade. Commenting on the findings, Louise Silverton, director for midwifery for the RCM, said: "Diabetes is a growing problem. 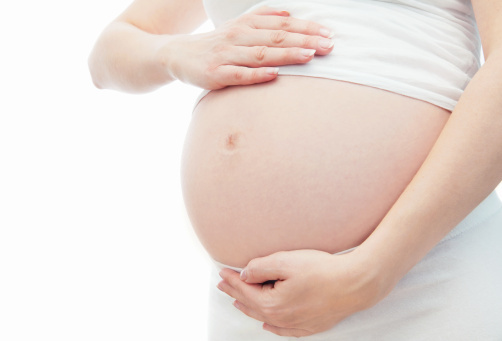 For many pregnant women developing type 2 diabetes, this is related to an increase in maternal obesity. Midwives need to be able to spend more time with women so that they can do more to discuss the importance of planning during pregnancy. Women especially need information about the importance of having good glucose control before and during the early stages of pregnancy. Before becoming pregnant, they should also be prescribed large doses of folic acid and be aware of treatments that should be avoided during pregnancy. "This report highlights that there is a big role for midwives in supporting women with diabetes throughout their pregnancy. There are significant risk factors for these mothers, such as experiencing a stillbirth and having a baby with a congenital abnormality. Also babies of diabetic mothers are at risk of being large for their gestational age. These factors all highlight why monitoring and controlling diabetes before and during pregnancy is vital." - only three in ten babies needed intensive or specialist neonatal care, compared with 57% in a 2002-03 survey. NIPD’s lead clinician Dr Nick Lewis-Barned, expressed disappointment at the fairly poor rate of improvement over the past decade since. "For the first time we are able to measure how the national guidance around pregnancy management in women with diabetes, which was produced in response to the CEMACH report in 2005, is working throughout England and Wales," he said. "The majority of women with diabetes in England and Wales enter pregnancy with avoidable increased risk, and many have unsatisfactory glucose control during pregnancy. This puts their fetus and themselves at further risk. Improving this will require collaboration between local service providers across public health, primary and specialist care and a clear plan for change."